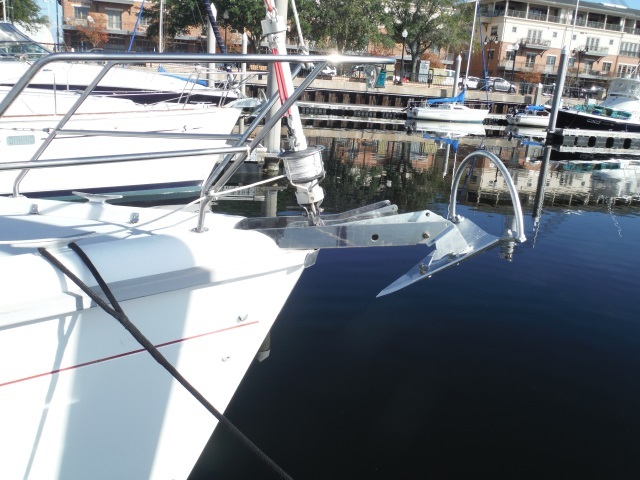 I’ve heard it said that a proper cruising anchor looks ridiculous in a marina. 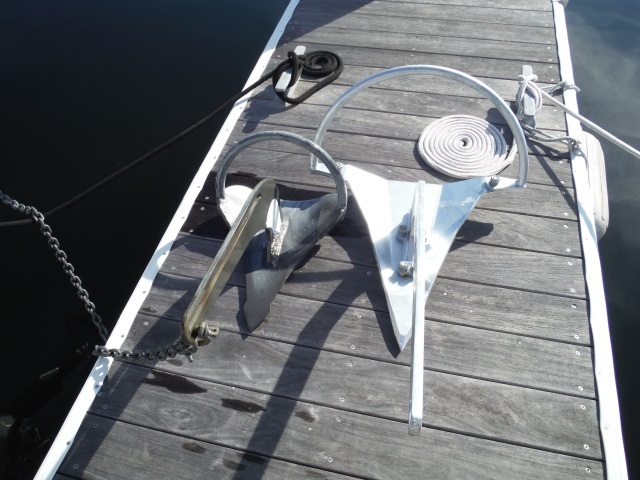 Boats that spend most of their days tied to a pier and are only sailed on sunny summer weekends carry a much smaller hook than one recommended for voyaging. We now have a proper cruising anchor. And I have to admit, it looks a bit, ummm, robust I guess you would say. Our 35 lb Manson was the size suggested for our boat for casual use, and except for that one time back in April, it’s done just fine. But now that we’re getting closer to our departure date, it’s time to start bringing onboard the remaining cruising essentials that we’ll soon be needing. High on the list was The Beast. Cruisers rave about Mantus anchors, and many of the boats that I see passing through our marina headed south have one hanging on the bow. I knew it was the way we wanted to go. 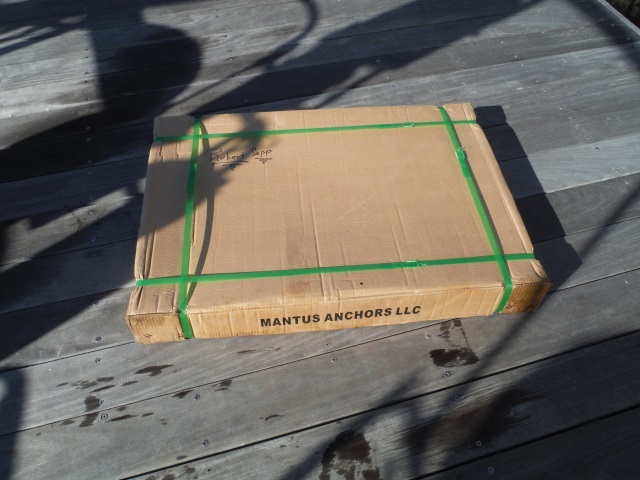 Checking the Mantus website, we saw that it recommended that for a 37 foot boat weighing 18,000 to 20,000 lbs (that would be us when fully loaded out for cruising), we would want a 35 pounder as a light duty (lunch) anchor, a 45 pounder as a working anchor, or a 55 pounder as a storm anchor. Since the safety of our home and ourselves is no place to try and cut corners, we went for the security of the storm anchor. It seems that at least once a month we get hit by wind gusts over 40 knots (just had some last night, matter of fact), and we want to know that our boat won’t be the one dragging through the anchorage. Checking the vendor listings for the St. Petersburg Power and Sailboat Show, I saw that Mantus was going to be an exhibitor, and I started thinking about snagging a boat show price. Since the full retail price on the model we wanted was just under $500, I didn’t think there was enough potential savings possible to make it worth taking two days and driving to St. Petersburg. But I knew someone who was making the trip. Rick Zern, our rigger and broker for the sale of our last boat, was there to man the Murray Yacht Sales booth. So I texted him and asked if he’d mind dropping by the Mantus booth and checking on the prices for me. An hour later, the Mantus rep called and offered a $100 discount and took my credit card number. 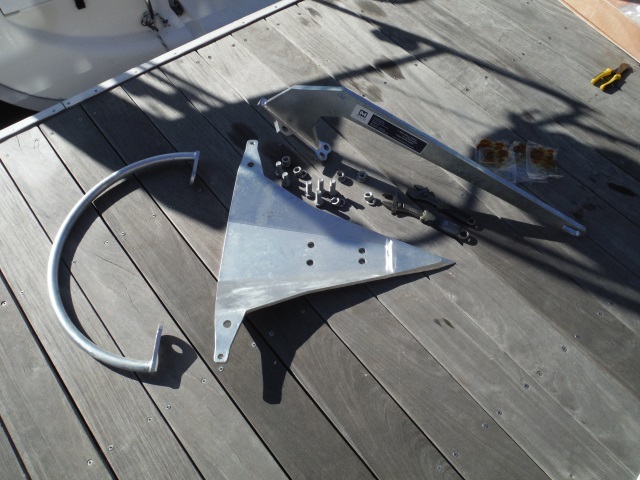 And since Rick was willing to throw the anchor in the back seat of his truck, we also saved on shipping, which is no small thing on a 55 lb anchor. Three days later, he called to tell me I could swing by their office to pick it up. 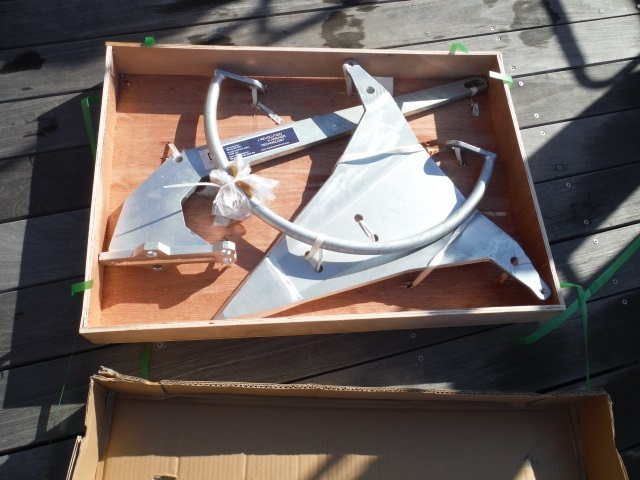 Now I have to say that I was originally a bit concerned about the idea of an anchor that you have to bolt together. But my research says that no one has ever reported a Mantus falling apart in use. It took less than 15 minutes to assemble. The quality appeared high, and everything was heavily galvanized. So we’ll be counting on The Beast to help us sleep peacefully and well when the winds pipe up. But it does look just a bit big hanging on the bow. This entry was posted in What? 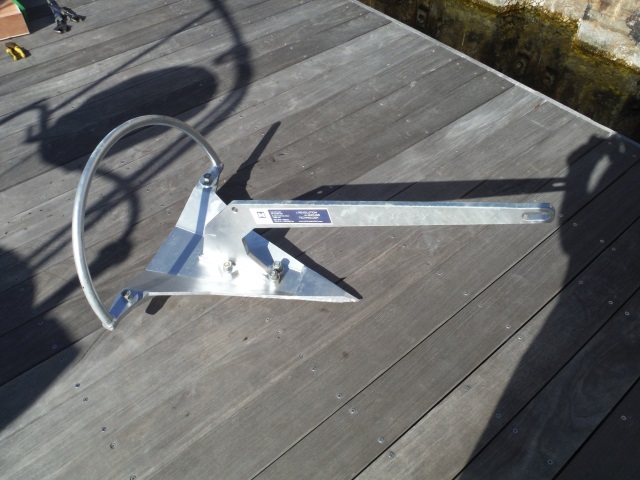 and tagged anchor for cruising, cruising anchor, Mantus anchor, storm anchor on December 14, 2015 by Robert.